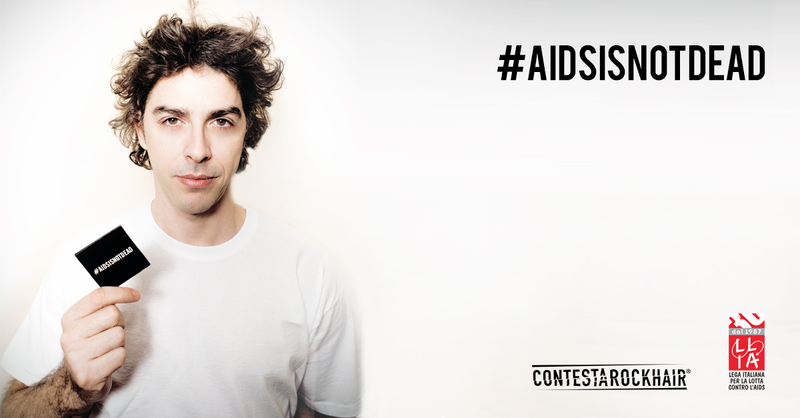 For over 10 years ContestaRockHair supports the social campaign AIDS IS NOT DEAD in all ContestaRockHair salons worldwide. 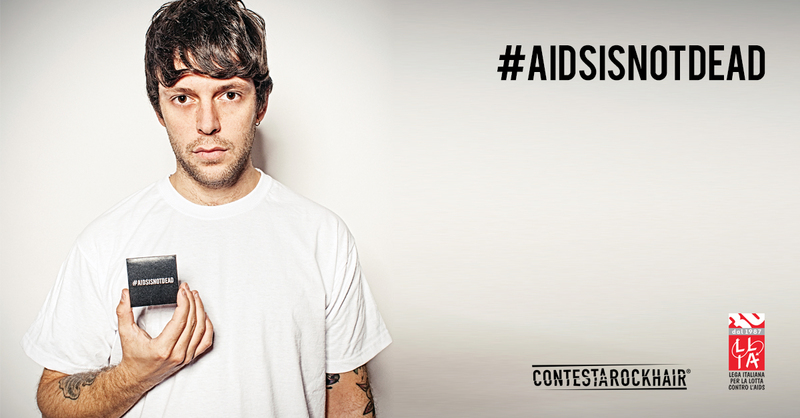 It’s the awareness campaign against AIDS by ContestaRockHair for LILA – Italian League for Fighting against AIDS, promoted from December 1st of each year during the WORLD AIDS DAY. This year’s campaign is supported by six testimonials, photographed by Matteo Casilli: Gazzelle, Lorena Cesarini, Michele Riondino, L I M, Daniel Plentz and Ramiro Levy from Selton. 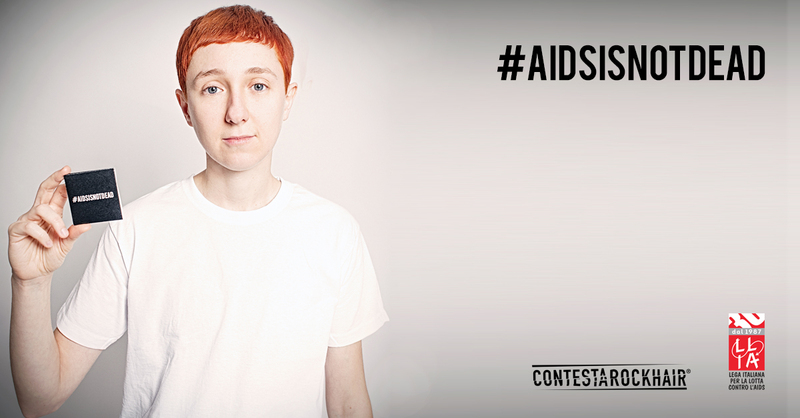 During the month of December #AIDSISNOTDEAD CONDOMS will be distributed in all ContestaRockHair salons worldwide, and all the funds collected will be donated to LILA – Italian League for Fighting against AIDS. In addition, from this year you can also donate online via Contestarockhair social pages and website. To avoid infection from sexual diseases, condoms remain our only allied. Unfortunately, the question is not so simple: cultural barriers, prejudices and misinformation make condoms still a taboo. Therefore, this campaign gives us the chance to see how free we can be through the naturalness of a gesture that is part of our intimacy. LILA – National Onlus recognized worldwide has been at the forefront since 1987 on the topic of HIV prevention, as well as one of the first companies to talk about condoms in the media. It deals with the prevention of the spread of HIV, offers support and services to people with HIV or AIDS, their families and all those involved; protect the rights of people with HIV or AIDS; develops awareness campaigns and health education for the entire population and promotes a culture of solidarity against all forms of intolerance and social exclusion.